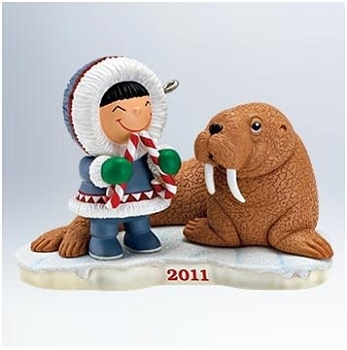 32nd in the Frosty Friends Hallmark Ornament series. A walrus joins our eskimo friend. Ornament is dated "2011"
Size: 3¼" x 2¼" x 2"
Still working on this series. Love it!